There are often times when injured workers disagree with their treating physicians, or simply want another doctor’s opinion before having treatment that concerns them, such as surgery or invasive testing. So how do second opinions happen in workers’ compensation cases? The easiest way is for your treating physician to request the second opinion. If your doctor wants the second opinion, the carrier should authorize it. However, if you want the second opinion, the carrier doesn’t need to pay for it. Often this can be resolved if the carrier also thinks a second opinion is worthwhile. An example is when a treating physician has recommended surgery, but the injured worker isn’t sure that the type of surgery proposed, or even surgery at all, is the best treatment for them. The most difficult situation is when the injured worker wants the second opinion, and the carrier and treating doctor do not. The injured worker can always get a second opinion if he or she is ready to pay for it themselves. The second opinion can be used in litigation, but if the insurance carrier and the treating doctor don’t agree with the recommendations, there is a risk that the workers’ compensation carrier will never need to pay for the second opinion, or for any treatment that doctor does. 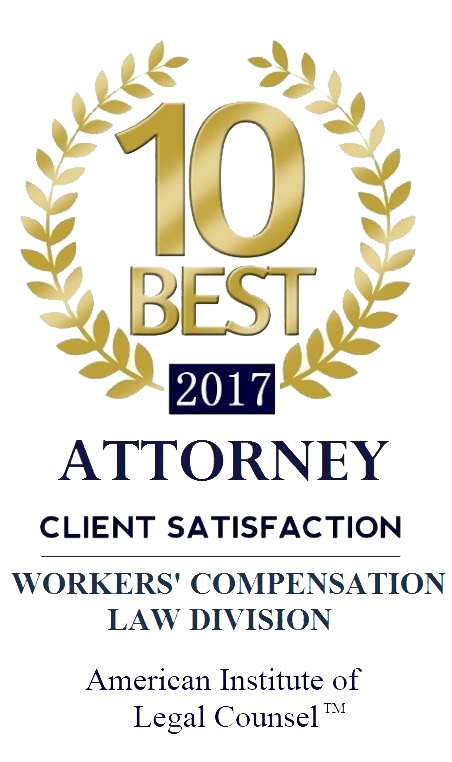 There is also a chance that the second opinion won’t be favorable to you, and then can be used by the workers compensation carrier to say what treatment you can or can’t have. If you want a second opinion, we suggest speaking with your attorney first about how to best go about getting it. What if my boss asks me to do a job I can’t do? If you are working under light duty work restrictions and your employer asks you to do something that would violate your restrictions, remind your employer of them. Make sure they have a copy of the restrictions. If they still insist, get human resources involved (or a union if there is one). If you get hurt again while working outside of your restrictions, the work comp carrier can argue that it is your fault, so be careful of this. Don’t leave work and make it clear that you are willing to work, but within your restrictions. Let your doctor and your work comp attorney know what is happening. If you need more help, contact us at 540-552-2052. IF I Settle My Workers’ Compensation Case, can I Still Keep My Lifetime Medical Benefits? This is a common question from people who want to settle their workers’ compensation claim but would like to keep their lifetime casually related medical coverage in case they need care later. This is a valid concern, and your medical situation is a big factor in deciding whether or not to settle. In theory, it is possible to settle only the wage replacement benefits, with leaving the medical benefits open, and this does (rarely) occur. Unfortunately, in most cases, the insurance carrier will not settle a case with an agreement to keep medical benefits open. This is because part of the value to the insurance carrier in settling is to be able to completely close your case and not have any further monetary exposure after the settlement monies are paid. The value of the future medical benefits is considered within the settlement amount, and the timing of a settlement is important (if you are having surgery soon, holding off on settlement may make sense; if you are only occasionally treating settlement may be a good option). For more information or to discuss your particular case, please call The Moses Law Firm at 540-552-2052. Should I Apply for FMLA When Out on Workers’ Compensation? Yes. Workers’ compensation pays wage replacement benefits but doesn’t protect your job. FMLA doesn’t pay wage replacement benefits, but can protect your job for up to 12 weeks, and also requires that group health insurance benefits be maintained for those 12 weeks. FMLA (Family and Medical Leave Act) applies to all public agencies, all public and private elementary and secondary schools, and to companies with more than 50 employees. To qualify for FMLA (which is a federal law), you must have worked for your employer at least 12 months, at least 1,250 hours over the past 12 months, and work at a location where the company employees 50 or more employees within 75 miles. If you are out of work, ask your human resources office for FMLA paperwork, which your physician will need to also complete. Contact us at The Moses Law Firm for further information. What Types of Accidents and Illnesses are Covered by Workers’ Compensation? When you are hurt at work in an accepted case, you are entitled to receive payment of benefits for an “injury by accident” or an “occupational disease.” To be covered, an “accident” must (1) occur at work or during a work-related function; (2) be caused by a specific work activity; and (3) happen suddenly at a specific time (most injuries incurred gradually or from repetitive trauma are not covered, although diseases caused by repetitive trauma may be covered). For an occupational disease to be covered, it must (1) be caused by the work; (2) not be a disease of the back, neck, or spinal column; and (3) be supported by medical evidence. For additional information, please contact us.